The folks at the Outback Bowl report the 2015 game on New Year&apos;s Day racked the highest-ratings and the biggest audience in ESPN2&apos;s history. The game at Tampa Bay&apos;s Raymond James Stadium ended with No. 17 Wisconsin beating No. 19 Auburn 34-31 in overtime after a back-and-forth battle. The telecast generated a network best 3.8 rating and an average of 6.4 million viewers making it the most watched program in ESPN2&apos;s 21-year history. 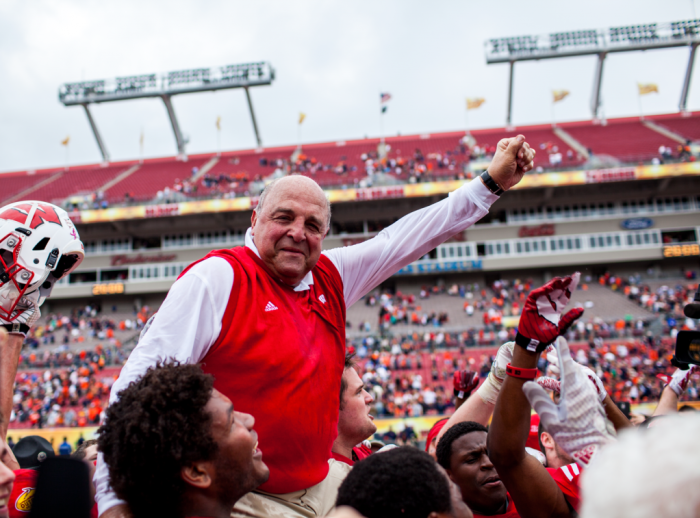 This year&apos;s game was the third in the past six years to go into overtime and the sixth consecutive year the Outback Bowl was decided either in overtime or the final minute. The game was also the 20th year for Outback Steakhouse as title sponsor, the longest title sponsorship of any current college bowl game. The Outback Bowl attracts tens of thousands of visitors to Tampa Bay each year from more than 40 states. They&apos;ve joined local fans to help generate an estimated $1 billion in economic impact area over the Outback Bowl&apos;s history. The game also generates tens of millions of dollars in exposure for the region each year and has contributed more than $123 million to universities over its history. This year&apos;s record-setting broadcast also featured Visit Tampa Bay&apos;s first national television ad during half-time.